Anne of Green Gables was a family favorite for us. 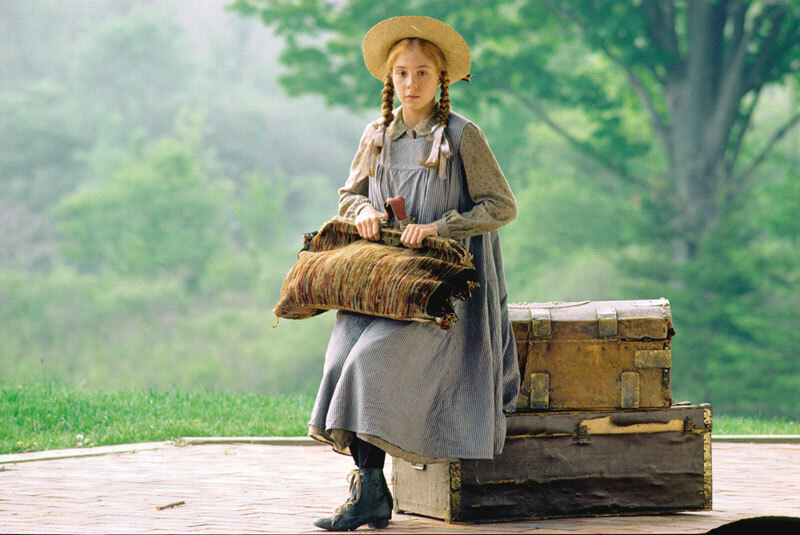 The main character, Anne Shirley, is orphaned as an infant. She later finds herself in a Cinderella like role in a family with three sets of twins; cooking, cleaning, helping to raise the children. There was no princely rescue but she did find her way to a family on Prince Edward Island. A brother and sister, Matthew and Marilla, were planning to adopt a boy to help them on their farm at Green Gables. Due to miscommunication, Anne was sent to them instead. They were old enough to be her grandparents and they planned to send her back. But she won their hearts, and became a source of redemption in the community. Faithful friends Diana and Gilbert help to guide her journey. Let’s go from the farm to the galaxies. What about Luke Skywalker of Star Wars renown? He was orphaned twice. His mom died in childbirth, his dad becomes the epitome of evil (Darth Vader), and then he is bereaved of aunt and uncle. Ben Kenobi initiates Luke into Jedi training and faithful droids R2-D2 and C-3PO, prove to be invaluable journey mates. Have other well-known orphans come to your mind? Forgive me if I have omitted a favorite of yours. Wait, there’s one more I must include – Dorothy Gale. (I know, her last name is never mentioned in the Oz movie.) This young orphan was adopted by her Uncle Henry and Aunt Em. The journey in this case is a dream but I want to focus on the wonderful ending to this film. Dorothy had a zealous yearning for home. She would do anything to get back. When she was instructed to repeat the words, “There’s no place like home”, her heart leapt with faith and expectation. The story segues to her return home, safe in the embrace of her family. What about my life or yours? We may not have made the silver screen nor had our story told in print. There are no throngs of people viewing our life’s story as it unfolds. Or is there? We’re not talking about just a few people who have turned out to watch you run. This is a great cloud. Later in the chapter the concept is expanded. “But you have come to Mount Zion and to the city of the living God, the heavenly Jerusalem, and to innumerable angels in festal gathering, and to the assembly of the firstborn who are enrolled in heaven, and to God, the judge of all, and to the spirits of the righteous made perfect, and to Jesus, the mediator of a new covenant, and to the sprinkled blood that speaks a better word than the blood of Abel.” (12:22-24) I’d say this is pretty good company. It’s nice not to travel alone. God provides tangible family, real persons in our present story, and He also provides a spiritual family, a mystical union with saints of old and angelic hosts. Not seen and yet revealed – to those willing to search deep and to be searched out by the Spirit of God. We carry a treasure in our earthen vessels: the light of the knowledge of the glory of God in the face of Jesus Christ. The treasure abides within us; our mission is to steward this Presence as we journey towards a greater entrance across the threshold and into our eternal home. There’s no place like it.